Sunny yellow in color, just-baked Butter Muffins will fill your home with the scent of sugar melting. Out of the oven, the finished product leaves you feeling like you just walked into an awesome bakery on a Sunday morning. But don’t just bake them to make your house smell delicious. The taste is buttery, rich and sweet. The texture is like a cookie-cake. And, milk with vanilla adds protein on a cozy morning in a happy home. 1. Preheat oven to 375 F and spray muffin pans with non-stick cooking spray. 2. In a medium-size bowl, whisk together flour, baking powder and salt. 3. In a separate large mixing bowl, mix butter and sugar until well combined. Add eggs, vanilla and milk and mix well. 4. Fold flour mixture into wet mixture and mix well. 5. 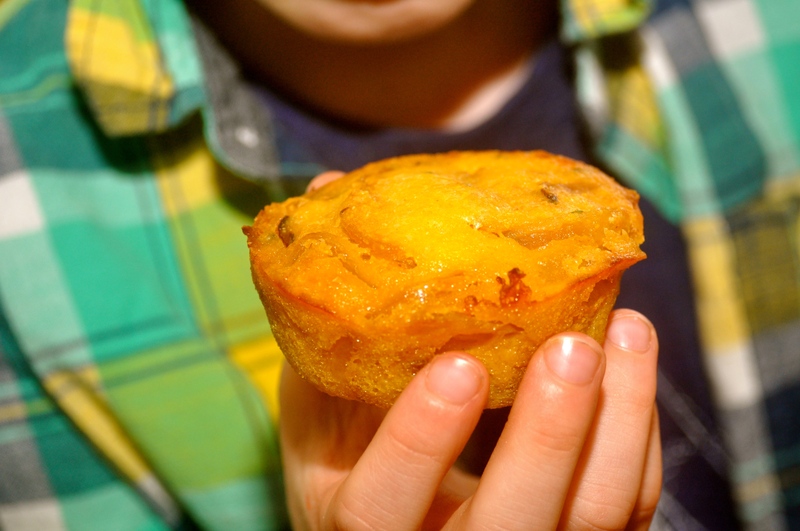 With an ice cream scoop, distribute batter into muffin cups. 6. Bake for 18 to 20 minutes, until muffins appear slightly golden around the edges and on top. 7. Let muffins cool 5 minutes in pans and then transfer to wire rack. Serve warm. While they bake in the oven, they may smell like French fries, but these muffins are a whole lot healthier. Their crisp, hash brown-y crust and fluffy potato middle will reinvent your leftover mashed potatoes. Post Thanksgiving, load them up with leftover Turkey or take them to a new level with tons of cheese, bacon bits and chives. Keep them simple with just salt and pepper, or omit the chives on top for kids who prefer their muffin to look “clean,” without garnish. MuffinizⓇ this classic comfort food and keep your forks in the silverware drawer. 2. Grease muffin pan with non-stick cooking spray. 3. In a large bowl, combine mashed potatoes, egg, 1 cup cheese and 2 tablespoons chives. 4. Add salt and pepper and stir. 5. Use an ice cream scoop to divide the potato mixture into the prepared muffin pan (use the back of spoon to pack potatoes down into each cup for a flattened top or leave as is for a more puffy/textured muffin top). 6. Bake for 30 to 35 minutes until golden brown and crisp around the edges. 7. Remove pan from the oven, sprinkle muffin tops with the remaining 1/4 cup cheese, and return them to the oven for 3 more minutes. 8. Remove muffins from the oven and allow them to cool in the pan for 5 minutes. 9. Transfer muffins to a serving dish, top them with the remaining 1 tablespoon of chives (optional) and serve immediately. *To measure mashed potatoes, scoop and pack them into a measuring cup and then level it off. *Mashed potatoes can vary in thickness. To thicken consistency, add an egg to the mixture. Bursting with the flavors of Fall, these pumpkin Nutella muffins are swirling perfection. The pumpkin puree makes these muffins silky moist. And the Nutella doesn’t drip or spill all over. 1. Preheat the oven to 350 degrees F. Spray muffin pans with cooking spray. 2. In a medium-size bowl, whisk together the pumpkin, sugar, egg and coconut oil. 3. In a separate medium-size bowl, combine the flour, cinnamon, baking powder and salt. 4. Pour the wet ingredients into the flour mixture and stir to combine. 5. 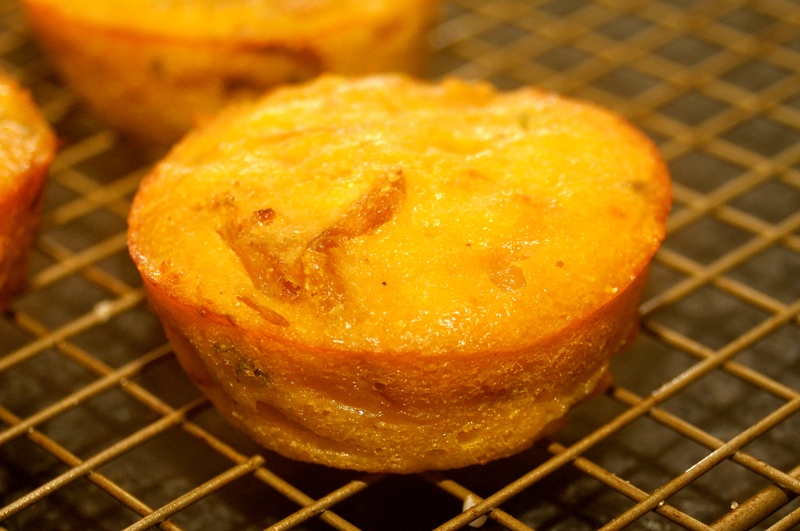 Fill each muffin cup with pumpkin batter to 1/4 high. 6. Add a dollop of Nutella to each muffin cup and use a toothpick to swirl. 7. Top with the remaining pumpkin batter, add a dollop of Nutella to each muffin cup, and swirl with a toothpick. 9. Let cool for 5 minutes in the pan, before removing to a wire cooling rack. Sweet, but not too sweet. “Vegetable” that’s tasty. Muffin, not cupcake. This recipe is original take on an all time favorite. The inside-out-treat is heaven on earth with frosting baked inside. The muffin itself is soft, fluffy and moist inside. The peaks of frosting on top are just waiting to be licked. 1. Preheat oven to 375 degrees. 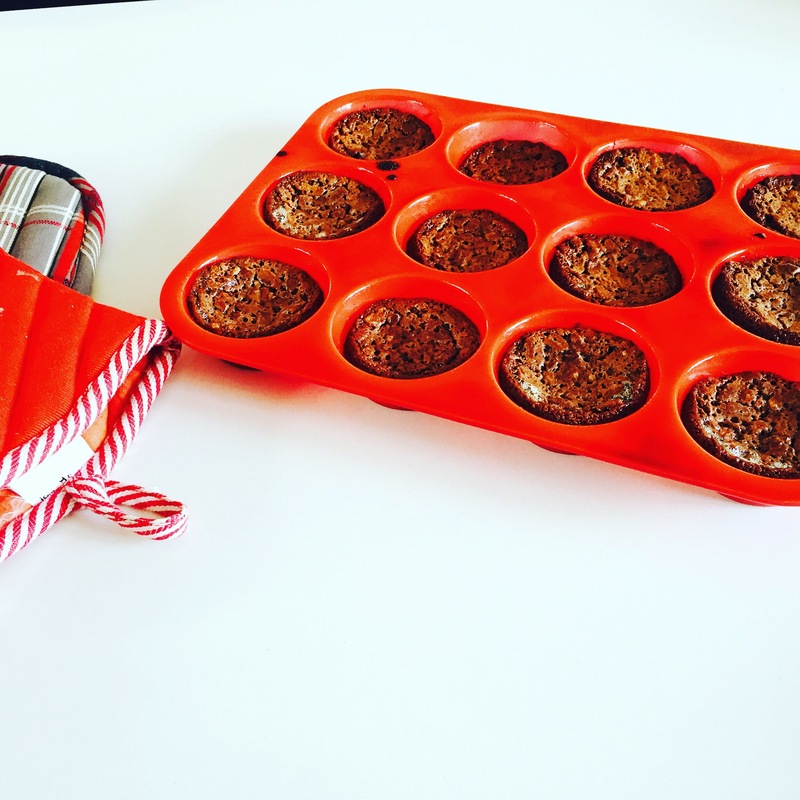 Grease muffin pan with cooking spray or line with paper liners. 2. In a large mixing bowl, whisk to blend: flour, baking soda, salt and cinnamon. 3. In another large mixing bowl, whisk until fully incorporated: sugar, oil, eggs, vanilla and carrot puree. 4. Pour wet ingredients over the dry ingredients. Stir just until combined. 5. In another medium-size bowl, make the Cream Cheese Filling: whisk together all ingredients until smooth. 6. Spoon some carrot batter into each muffin cup to about ¼ full, followed by about one heaping teaspoon of filling directly into the center. Place dollops of remaining carrot batter on top of the cream cheese mixture to fill ¾ of each cup. 7. Bake for 18 minutes until edges start to brown and the muffins are firm to the touch (If some filling oozes from the top, rest assured your muffins will be perfect!). 8. Remove muffin pans from the oven and cool in pans for 5 minutes. 9. While muffins continue to cool, fill a ziplock bag (with the corner snipped) with the remaining cream cheese filling and pipe into the hole where the filling broke through the top of the muffin. (With the remaining frosting, fill the small hollow cavity inside of each muffin.). 10. Serve warm or at room temperature. Inspired by a recipe for New England Spider Cake, these muffins don’t require a “spider,” or even resemble the insect. “Spider” is the name of the cast-iron skillet, used in Vermont for making cornbread. This recipe works just as well in a muffin pan as in the cornbread skillet used during the nineteenth century. The “trick” to making these muffins is to pour cold cream over the batter, prior to placing it in the oven. As the muffins bake, the cream sinks, forming a custardy middle layer. This produces a muffin of different textures and flavors: the center is sweet and creamy while the top and bottom is buttery and crisp. 2. Combine the milk and vinegar in a bowl and set aside to sour (wait 5 to 10 minutes — you’ll see the milk get lumpy). 3. In another bowl, combine flour, cornmeal, sugar, baking soda, and salt. 4. Whisk eggs into the soured milk. Stir into dry ingredients and set batter aside. 5. Add melted butter to batter (batter will seem liquidy). 6. 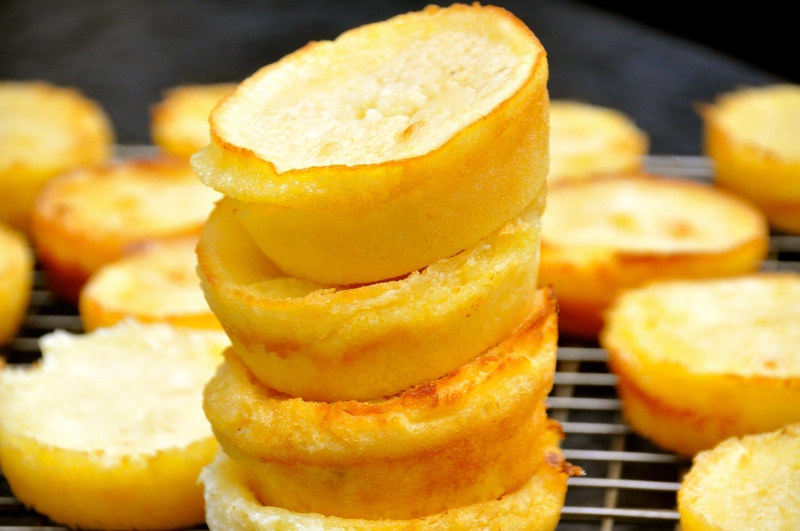 Distribute batter evenly into 24 muffin cups. 7. Pour cream into the center of each muffin cup. 8. Bake for 20 to 25 minutes, until the edges start to turn golden brown. 9. Serve warm, with maple syrup if you’d like. Now, put on some cozy slippers, curl up, and indulge in sweet, simple deliciousness. 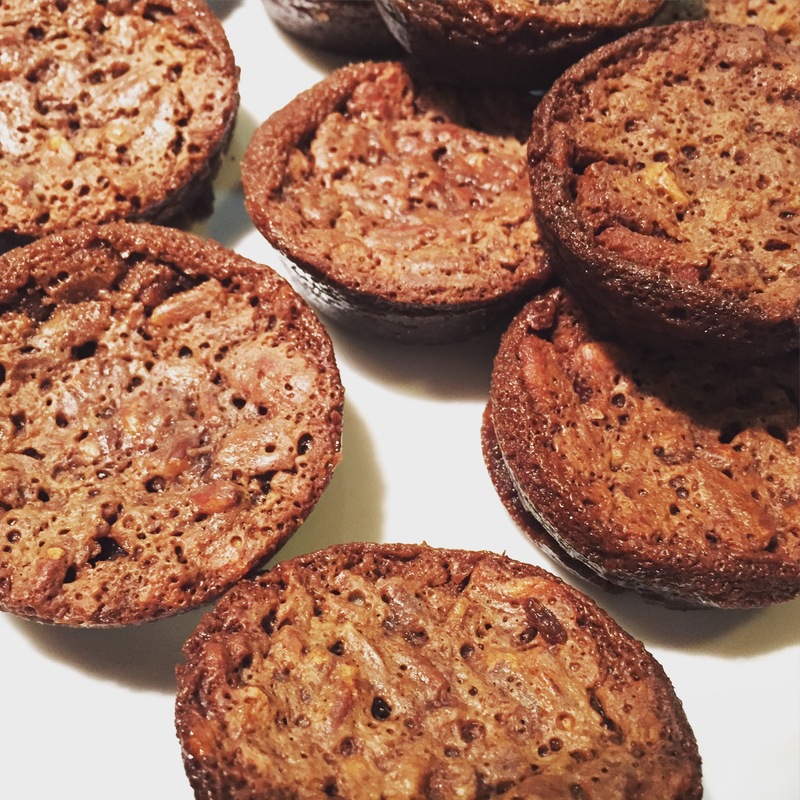 For die-hard pecan-pie fans, these muffins are a pie-brownie hybrid. Infused with chocolate, a sticky, bite-size pecan pie is not only gooey, sweet, buttery and energy-packed, but perfect for both chocoholics and brownie-lovers. 1. Prehead oven to 350 degrees. Grease muffin pans with cooking spray. 2. In a large mixing bowl, whisk the light brown sugar, granulated sugar, corn syrup, eggs, vanilla, flour and salt until smooth. 3. Whisk in the butter and chocolate. 5. 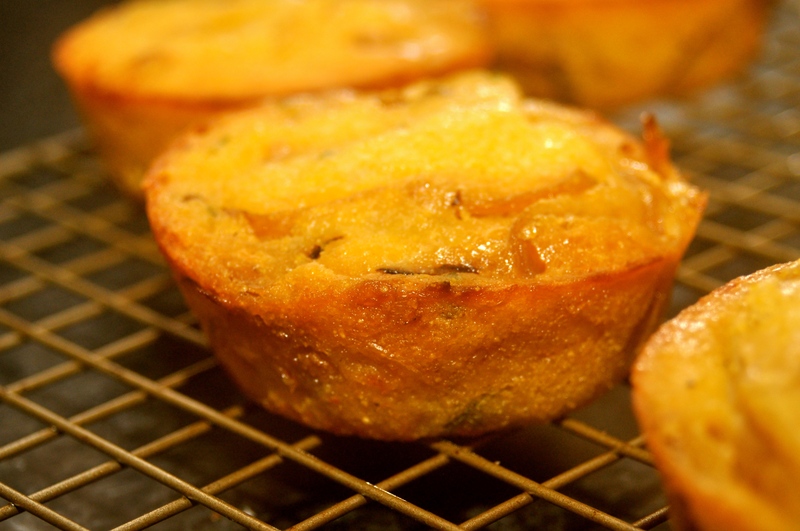 Use an ice cream scoop to distribute batter evenly into each muffin cup. 6. Bake for 20 to 22 minutes. 7. Let muffins cool in pan and then transfer to refrigerator to chill. 8. Use a sharp knife to run around the edges of the muffins to remove them from the pan. Ladies and gentlemen, this is quite a muffin. I have fond memories of ordering French onion soup at a small restaurant in Elkin’s Park, PA, named Winston’s. The French onion soup was to die for. I remember eating the cheese first by twirling the spoon and “cutting” by pressing the cheese against the side of the soup bowl. The cheese would dangle from the spoon. And once the cheese was gone, the bread and broth was full of onion-y deliciousness. 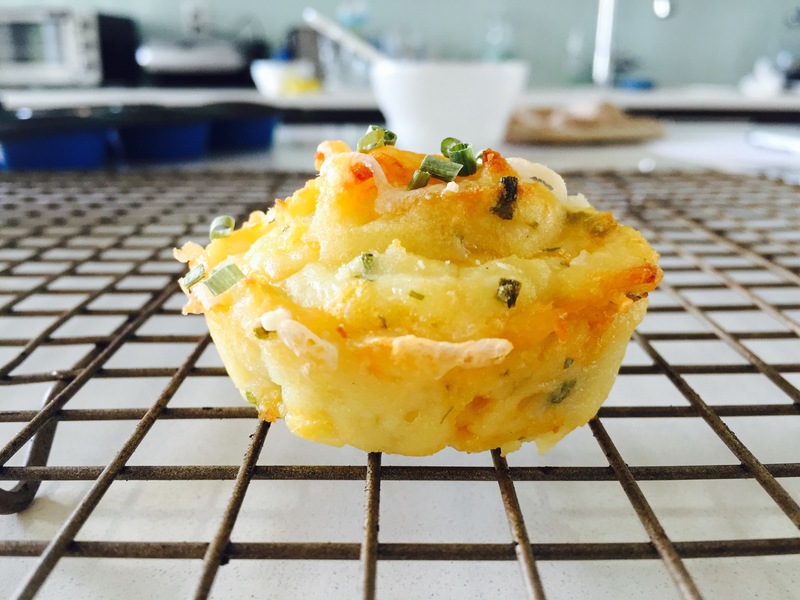 These savory muffins are as much of an experience as eating the melted, bubbly cheese on top of the bowl. The layers of flavors in these muffins mimic the half-crisp, cheese-covered croutons half submerged and soaked in delicious onion broth. They make the perfect accompaniment to soup, eggs, or greens. 1. Preheat oven to 375F. Grease muffin pan with cooking spray. 2. Melt the butter in a medium skillet over medium heat; stir in the onion and 1/8 teaspoon salt. Cook until the onions are a rich caramel color, about 15 to 20 minutes, stirring occasionally. Add the garlic and cook 1 minute more, stirring constantly. Set aside to cool. 3. In a large mixing bowl, whisk together the cornmeal, flour, baking powder, thyme, black pepper, and remaining 1/4 + 1/8 teaspoon salt in a medium bowl. 4. In a separate medium mixing bowl, whisk together the milk, egg, oil, and Worcestershire. 5. Add the wet ingredients to the dry ingredients and stir until just combined, being careful not to over-mix. Fold in the caramelized onion and shredded cheese. 6. Fill each muffin cup with batter. 7. Fill the empty muffin tins halfway with water for even baking. 8. 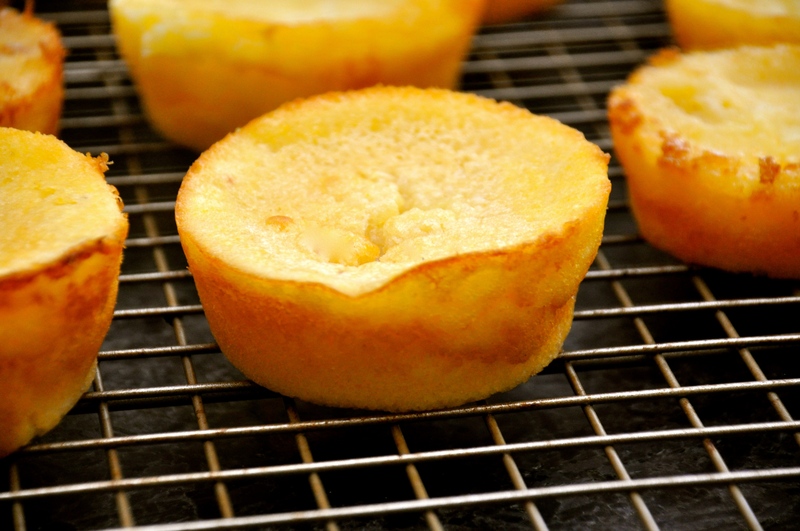 Bake for 18-20 minutes or until a toothpick inserted in the center of a muffin comes out clean.